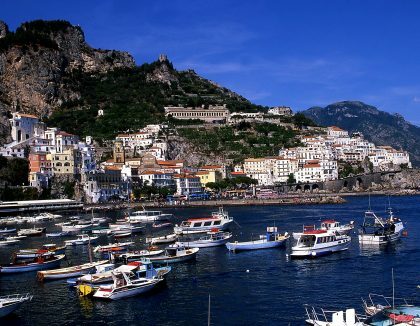 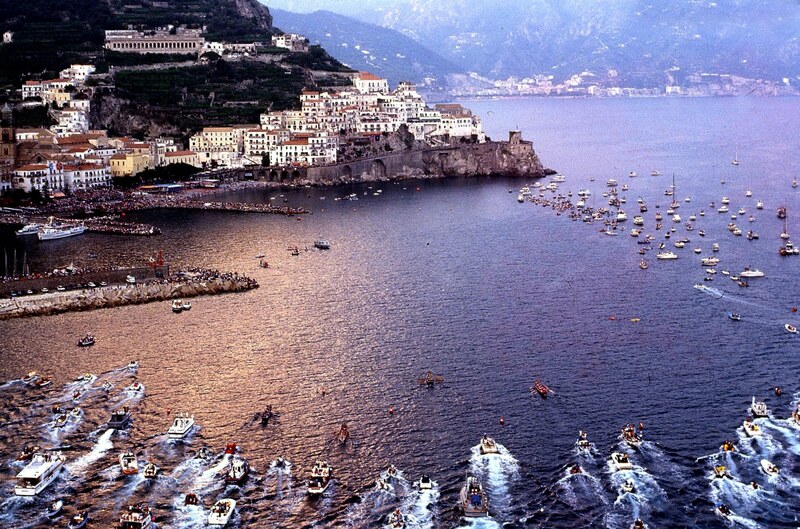 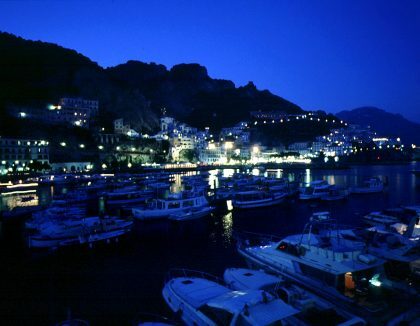 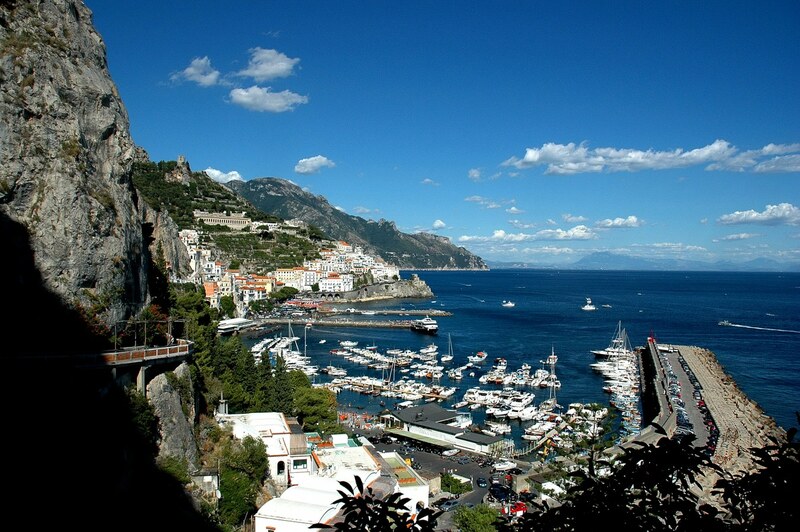 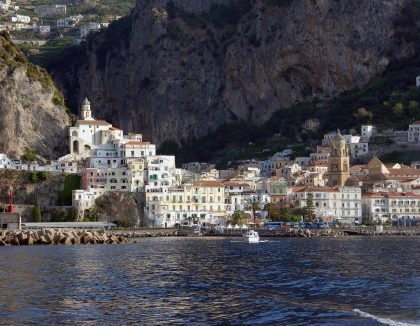 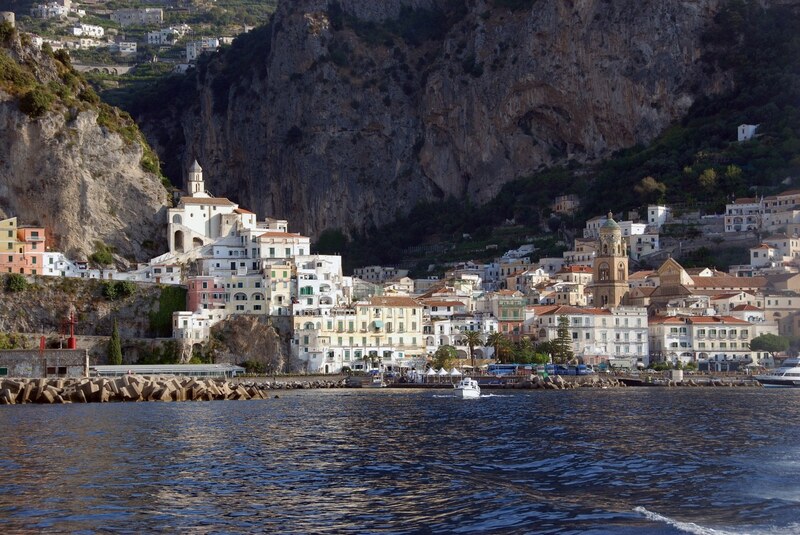 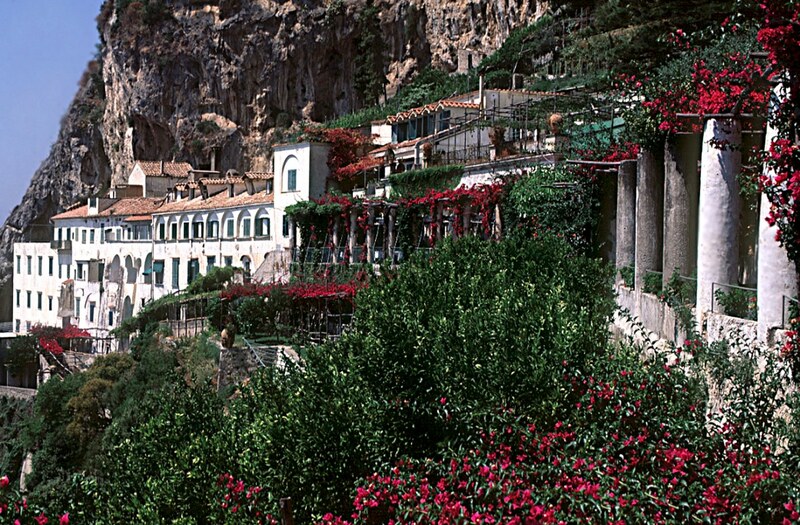 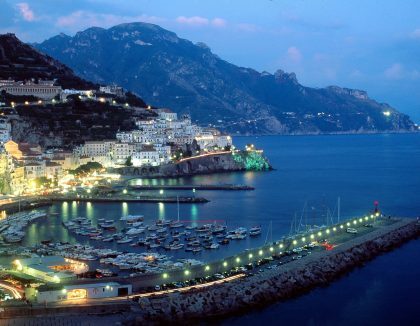 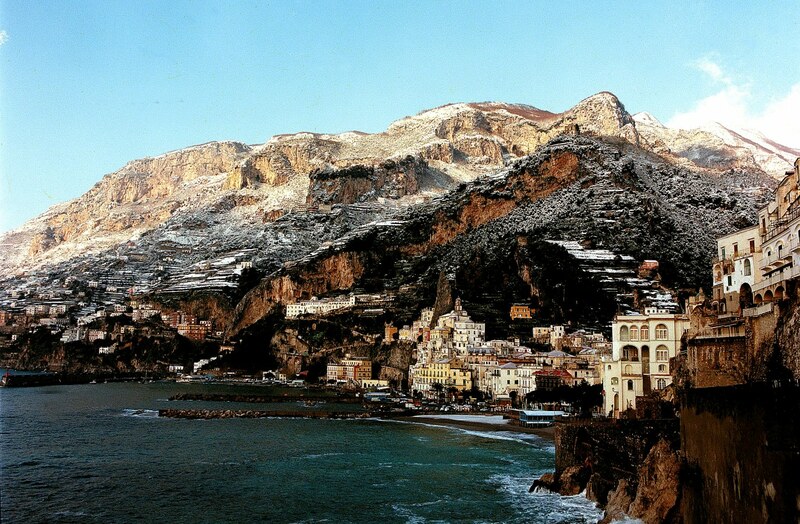 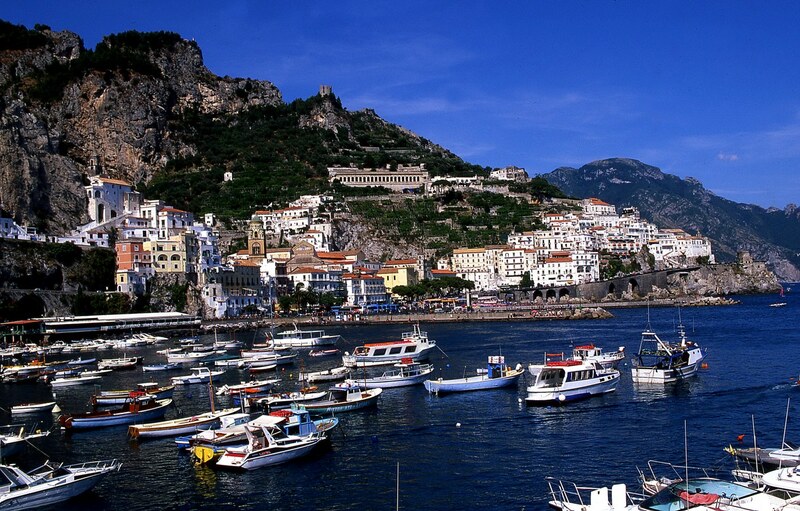 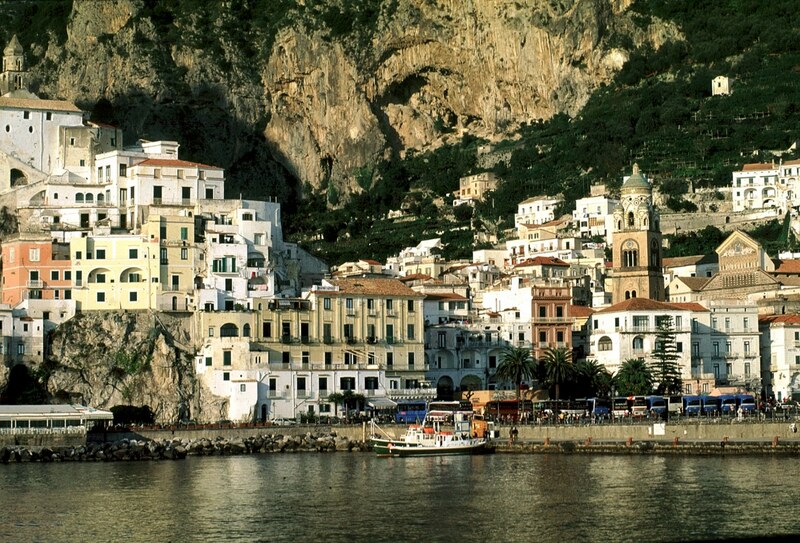 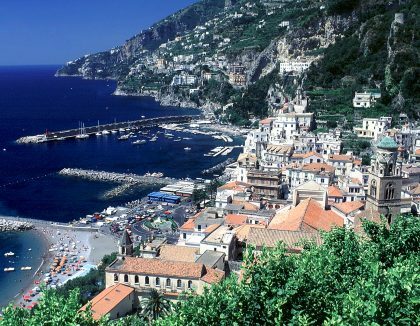 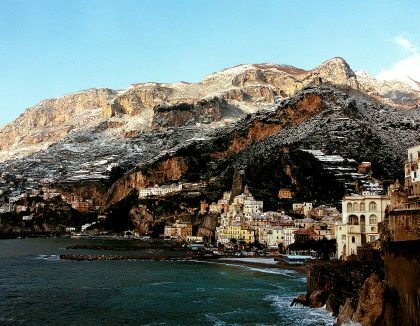 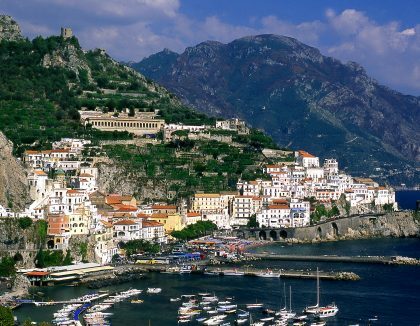 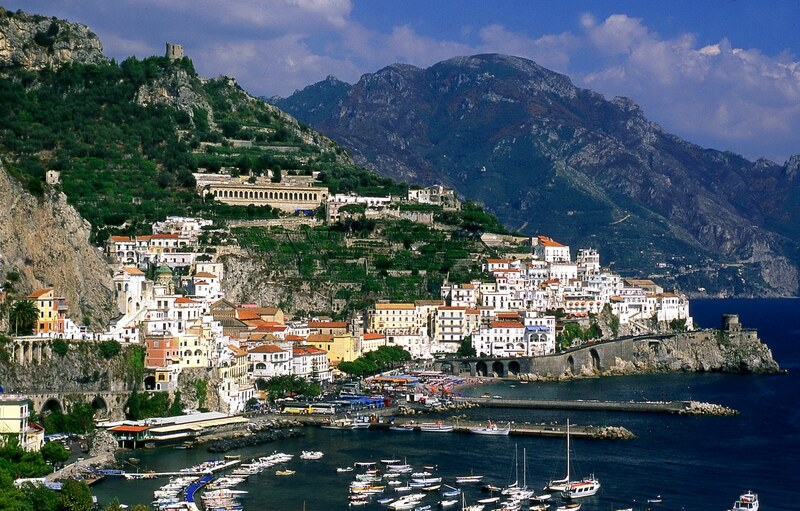 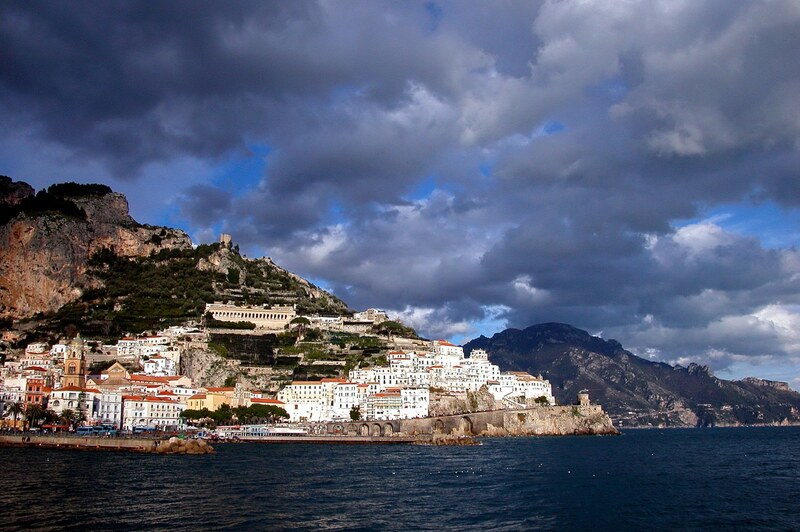 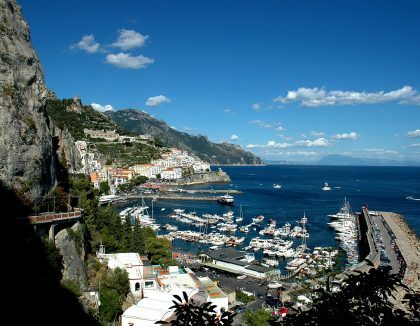 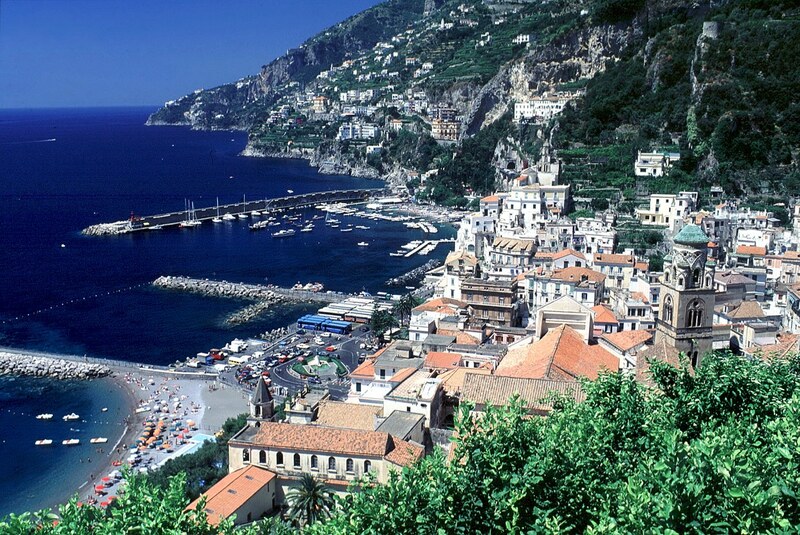 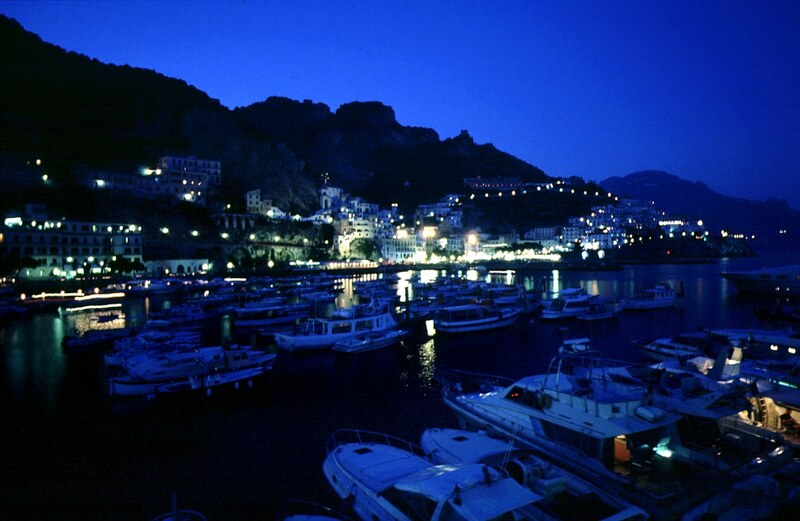 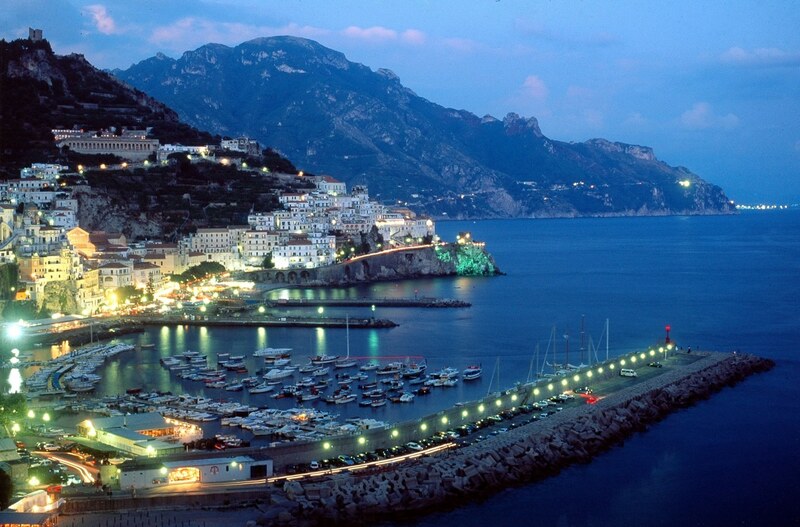 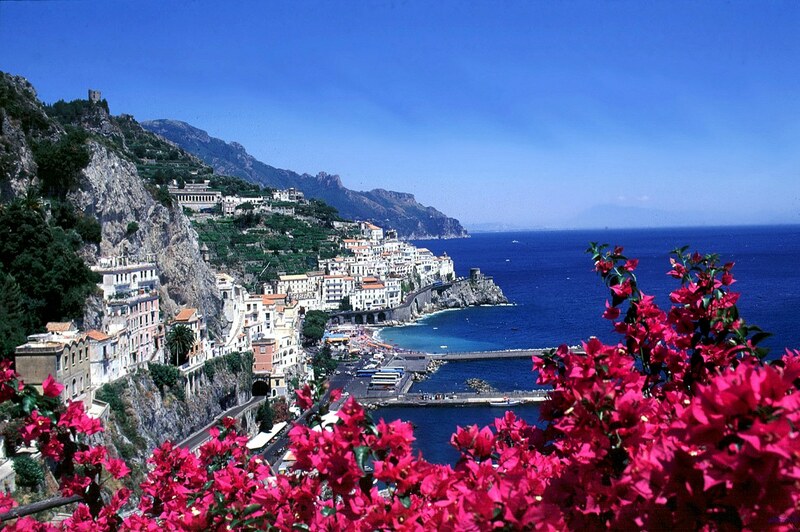 Capital of the Amalfi Coast and landing point for millions of tourists. 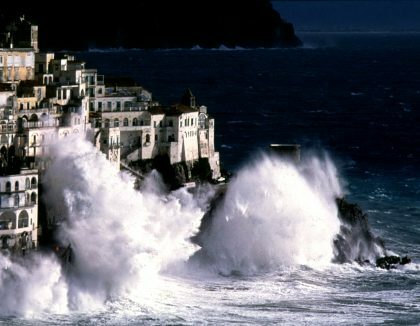 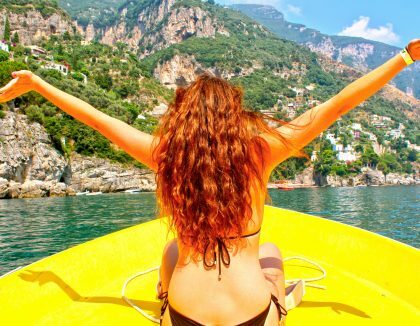 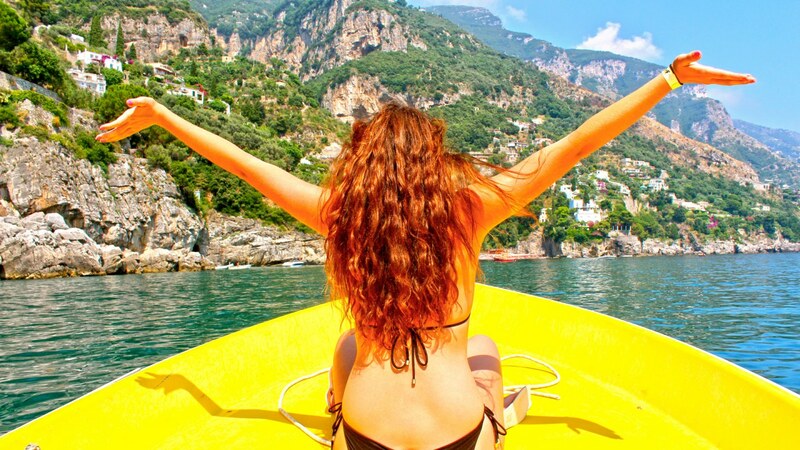 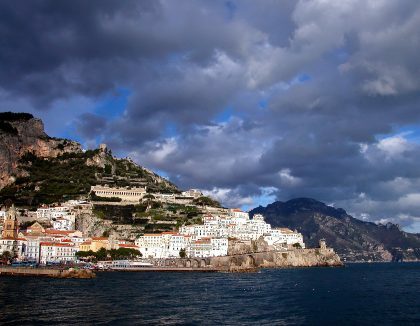 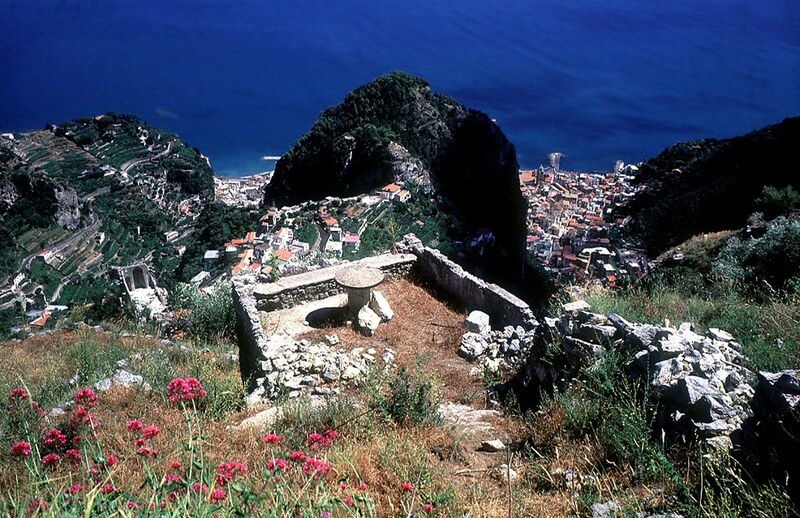 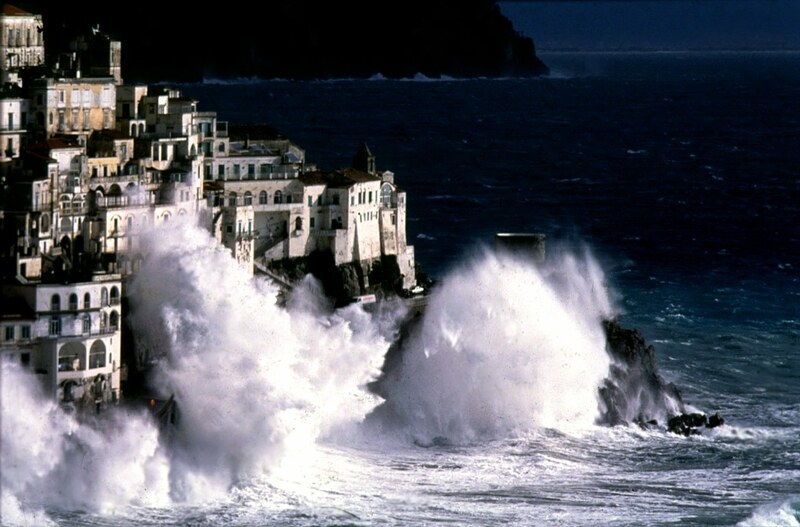 Amalfi reached its zenith between the IX and the XI Century, an historical moment where Amalfi - along with the Maritime Republics of Pisa, Genoa and Venice - competed for the control of the Mediterranean Sea. 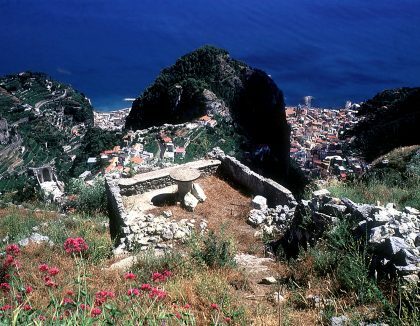 Of this glorious period of maritime supremacy, we can mention monuments of great splendour and beauty like Gli Antichi Arsenali (The Ancient Arsenals) and the Cathedral, dedicated to St. Andrew the Apostle, an architecture Arab-Sicilian and Mediterranean art. 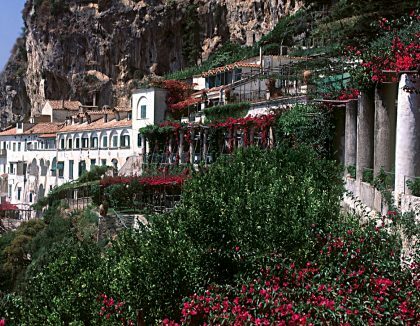 Equally charming is the Chiostro del Paradiso (The Cloister of Paradise) attached to the Cathedral, which offers you the opportunity to immerse yourself in the quiet mystique of a privileged place. 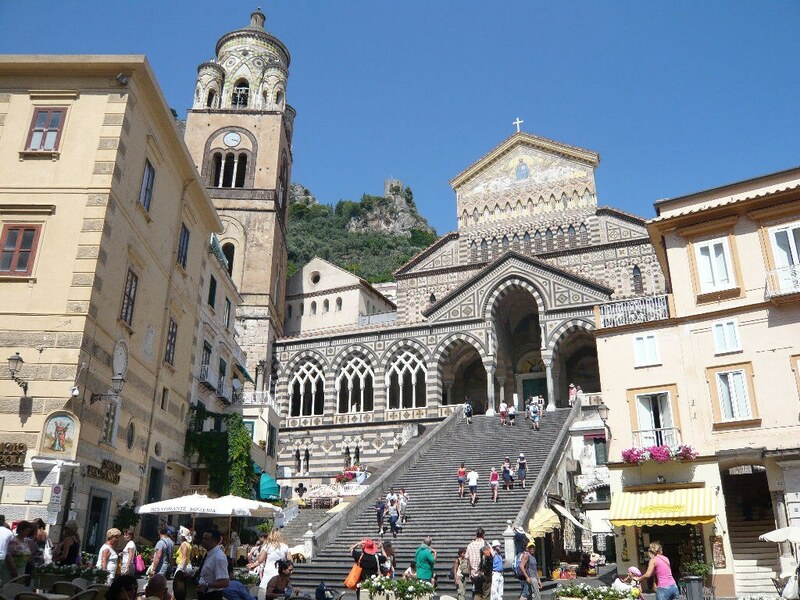 The Cathedral and the adjacent square - filled with outdoor cafes, pastry shops and characteristics stores - are also the heart of a city that is renewed - year after year, century after century - through the preservation of rituals of great impact and choral participations. 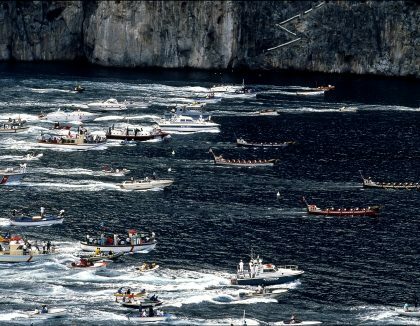 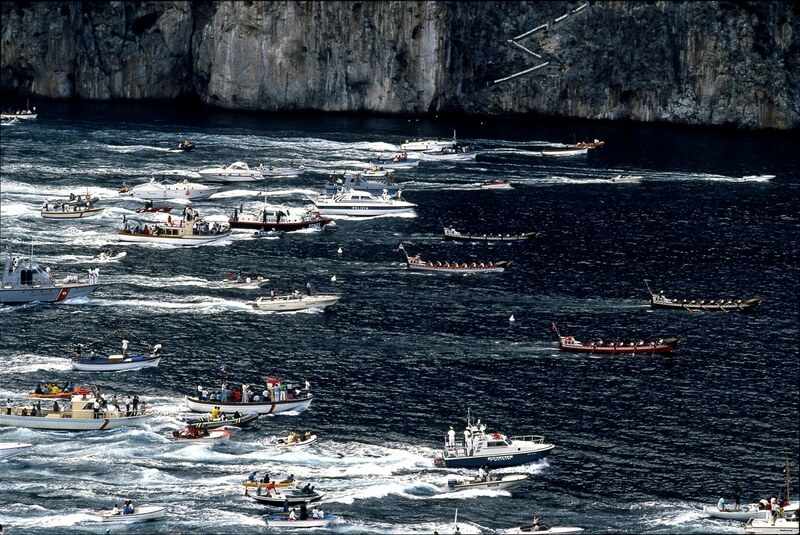 Among them, there is the Byzantine New Year or the Traditional Regatta of the Ancient Maritime Republics where teams of rowers - on board of historical vessels - restore their ancient dominance of the sea. 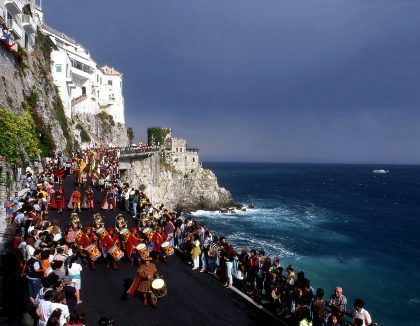 In these occasions, historical processions go through the streets of the city, offering the chance to admire their splendid vintage costumes. 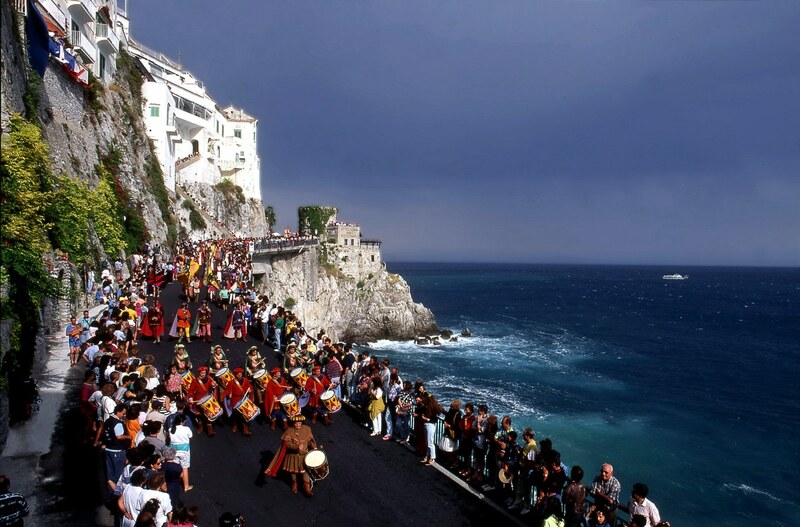 This procession - along with the Palio of Siena and a few other events - keep the spirit and Italian traditions alive. 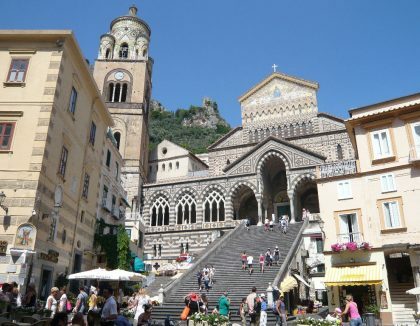 Less well known but equally beautiful is the ritual of the feast of St. Andrew, where Coast's fishermen carry on their shoulder the statue of the Saint and put it to shelter in the cathedral, in a commemoration, which refers to the ancient Saracen raids which Amalfi was exposed. 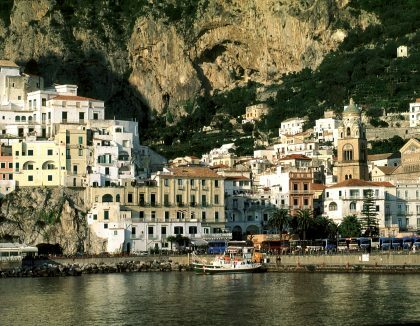 Another living heritage of the city is the vintage paper production and the famous "Bambagina" of Amalfi that still today is produced with ancient equipment and methods that you can enjoy both in the Ancient Paper-Mill or by visiting the Paper Museum of Amalfi. 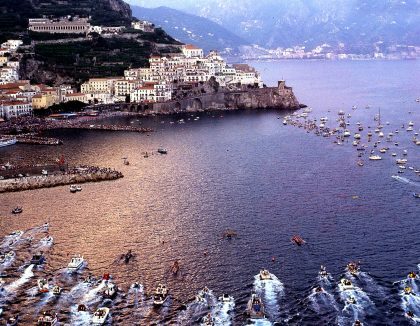 Among our other local productions, we also have the "sfusato amalfitano", a local art of cultivation and production of the lemon. 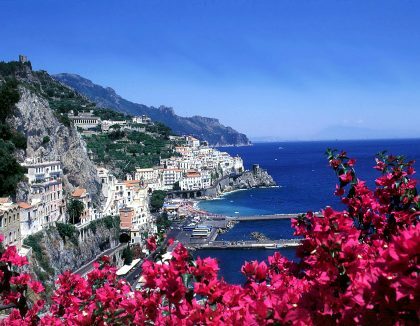 It is possible to visit the splendid gardens of cultivation lost in real paths, where you can taste cakes, delicacies, liqueurs and bon-bon. 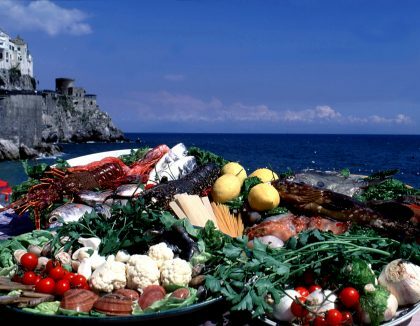 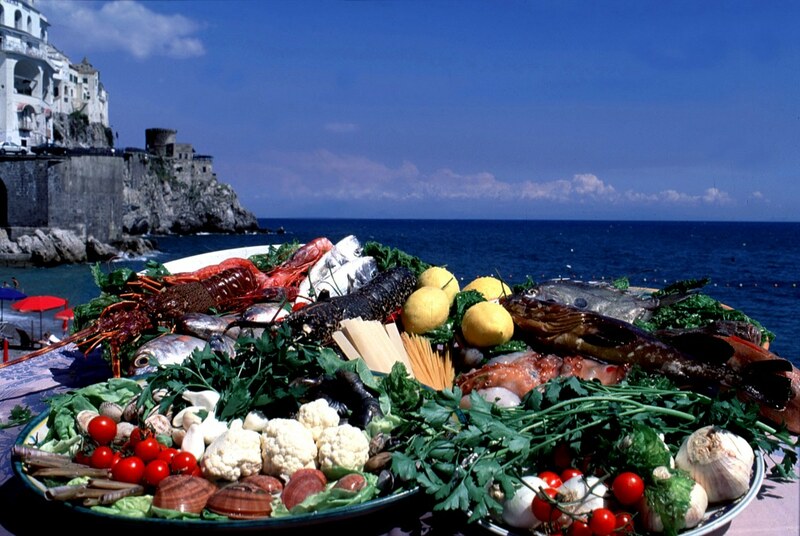 With the smell, the taste and the brightness of the lemons, Amalfi remains in the memories of many visitors who will appreciate thousands of gastronomic temptations and the art of the city of Amalfi.